Can anyone join your lodge? If you wish to join the Freemasons, click here. There are few requirements to join Freemasonry, read more here. Each member pays annual dues as well a new member will pay initiation fees to join. Visit one of our dinner events to learn more. 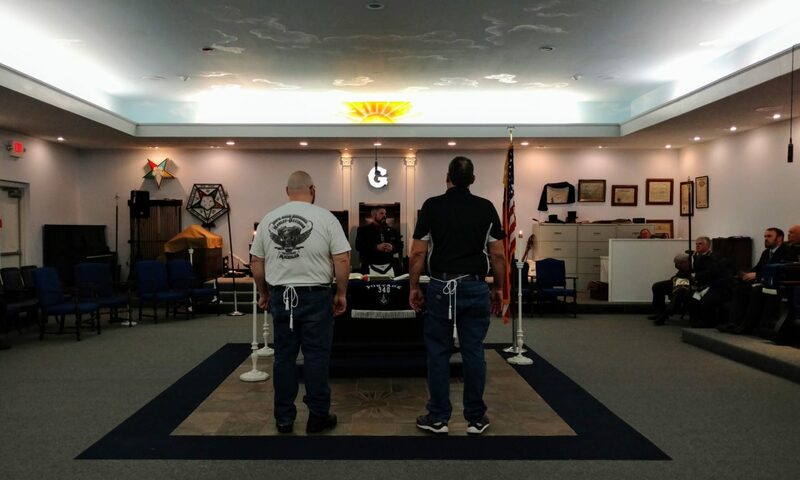 Why yes, we are proud to say that our lodge is a part of the Grand Lodge of Michigan. How often does this lodge meet? We have regular monthly meetings no less than 10 times each year. Our meeting is held on the 2nd Thursday of each month. It is expected that all members be present. Prior to each meeting we have a nice dinner. After the meeting we like to hang out at the lodge to continue catching up with each other. What are your monthly meetings like? The monthly meeting is called a business meeting where we take care of the necessary tasks of running a lodge. We go over finances, fundraising efforts, member care details as well as planning for social events. Like most business meetings they often can be be pretty dry and we know that, so we try to get our business complete and free up our evenings for socializing. At Portage-Brady Lodge we aim to have excellent food prior to each meal. We do our best to avoid pizzas and hotdogs! We warmly accept visitors to our regular meetings. Anyone is welcome to join our pre-meeting dinner at 630PM. Only Freemasons that are in good standing are welcome to attend our business meeting. If you are interested in learning more about our Lodge, please use this page to get in touch.